"Today was not anything like it had planned to be. We had an unexpected trip to the vet and then were faced with the difficult decision to say goodbye to our dog Sadie. Luckily we have the greatest vet in the world Julie Dudak and her compassionate office staff. She helped us spoil her by providing us with Hershey kisses, chocolate covered rice crispy treats and chocolate covered marshmallows and gave us as much time as we needed. 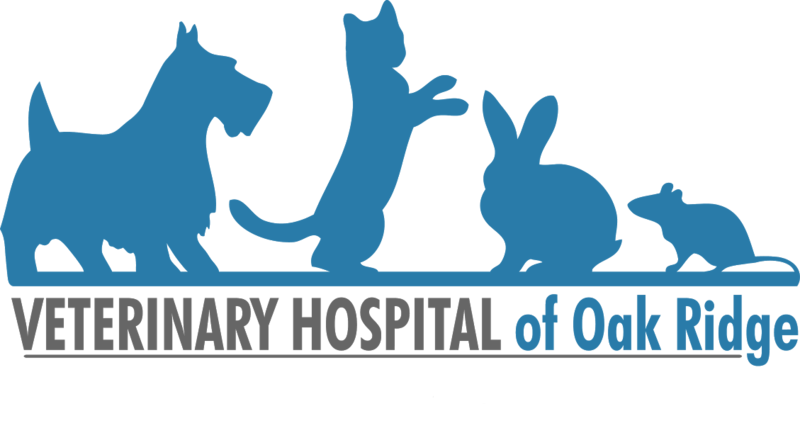 We cannot thank the staff enough at the Veterinary Hospital of Oak Ridge for all that they did on this difficult day. By far the best vet clinic we have ever been too." "Couldn't ask for a more professional, loving, caring team in NC. They give their All to do what is possible for your animal and the Love is unreal...I have had many vets through my life and they can't even compare to Dr. Dudak and her team...if you ever come here you will never take your babies anywhere else...yes, it's that good." "Love love love Dr. Dudak and the crew! Dozer (our aging Springer Spaniel who used to be so terrified to go to the Village Vet that he'd poop in the waiting room) gave her kisses on the cheek (unheard of! ), and all our four dogs absolutely love her. Can't say enough good things about her!" "One of the best if not the best Veterinarian in the area! I have been a Veterinarian Technician for thirty years. I will go nowhere else. I have had the great pleasure working with Dr. Dudak and many other Veterinarians in Guilford County. This is who I trust with my fur babies!" "The only vet staff my dogs have ever felt not as nervous around! I've met all the doctors here and they all genuinely love animals and what they do. Thank you guys for being so awesome!" "We love Dr. Dudak & the entire staff. She was able to get kisses from my dog who gives no one kisses, including me! Rita cares about her grooming clients and always send them out with a pretty scarf and great looking new hairdo. Nadia and the vet techs keep everything running smoothly. They all maintain a clear view of their patients and special needs. I am glad Doc Taylor was picky and realized Dr. Dudak would be the perfect fit for taking over his practice." 'Our pets used to try and hide when they saw the clinic. Since Dr. Dudak took over they now get EXCITED when they see the clinic'. Enough said!"